Who is ready for some holiday baking? 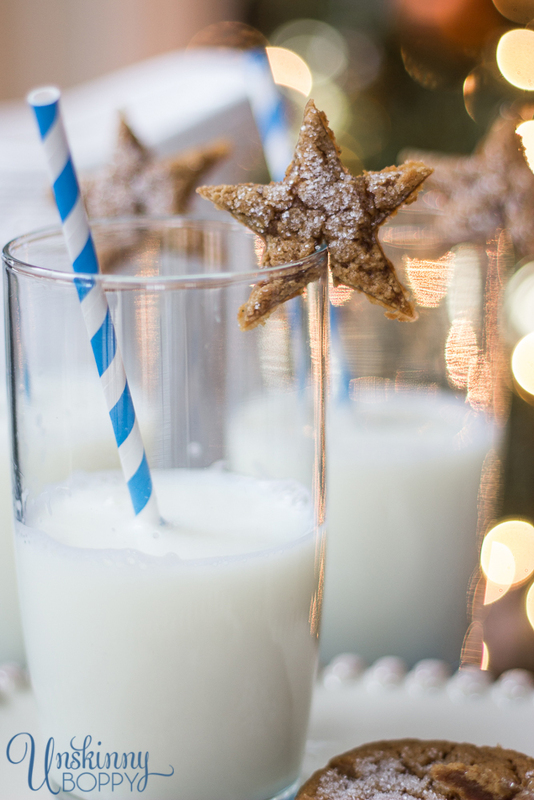 These simple gingerbread star cookies were at the top of my list to make this year. 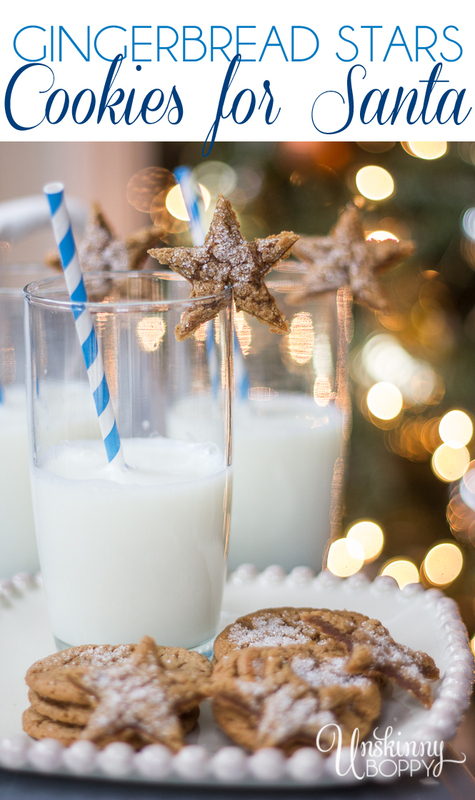 They rest right on the edge of your glass, making them perfect for Santa’s annual milk and cookie ingestion-fest on Christmas Eve! I first saw this idea over in the Valentine’s issue of Celebrating Everyday Life Magazine, but I wanted to give it a whirl for Christmas cookies. And it worked perfectly! Since I am on a bit of a star kick this Christmas season, I decided to continue the theme and use a star cookie cutter. Ok, are you ready for my big secret recipe? 1 package Immaculate Baking Gingerbread Spice Cookie dough. That’s it! I ain’t ashamed to use some store-bought slice and bake cookies during the most busy time of year. Plus, these are the best tasting cookies you’ll ever find, so there’s no need in making it harder than it has to be. I even got them on sale at Publix. Even better. Cook them according to package directions, and here is the real secret– get that cookie cutter in there AS SOON AS you remove them from the oven. They need to be hot and tender so you can cut them easy. Once they harden up it’s too late, and these harden fast so be quick-like and get that cookie cutter moving as soon as you can. Then just use a butter knife to cut a small slit on one side for them to rest on the glass– and that’s it! How simple is that? These cookies are SO cute, and SO easy! Visit the Mohawk Homescapes blog on Monday to see 4 more perfect Christmas cookies! I’m guest posting over there with some great ideas! That cookie dough is my favorite!! They’re obviously pros, right?! Those stars are so cute! LOVE this! I loved the hearts Jennifer did for Valentine’s and stars for Christmas are just perfect! Your photos are totally fabulous too!